On Saturday we had freezing rain and the kind of wet cold that makes your bones hurt. 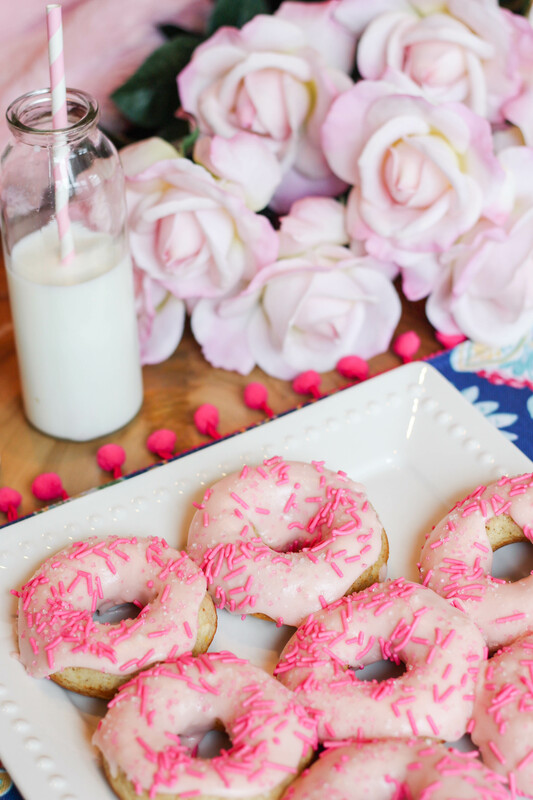 With Valentine’s Day on the mind, I knew I wanted something warm and sweet and baking seemed like the most appropriate activity for such a cold, dreary afternoon. 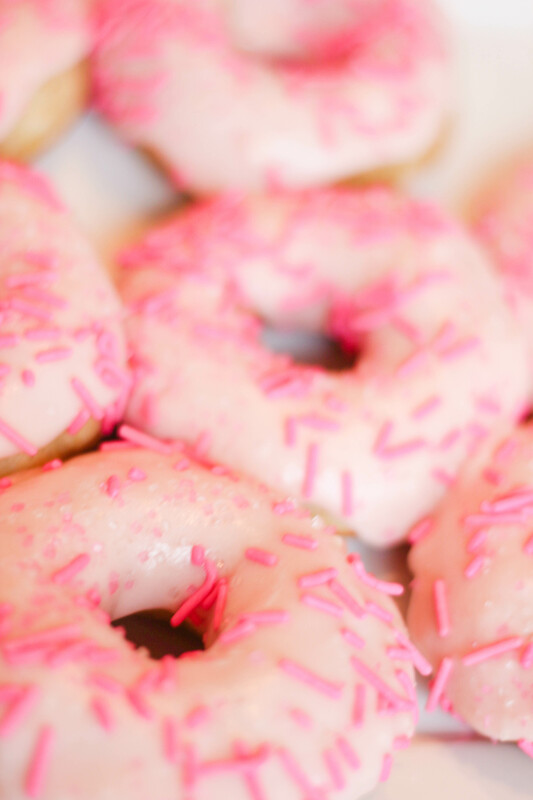 A glance at my Instagram feed showcased a surprising amount of heart shaped donuts from Dunkin’, so spirited for V-day. 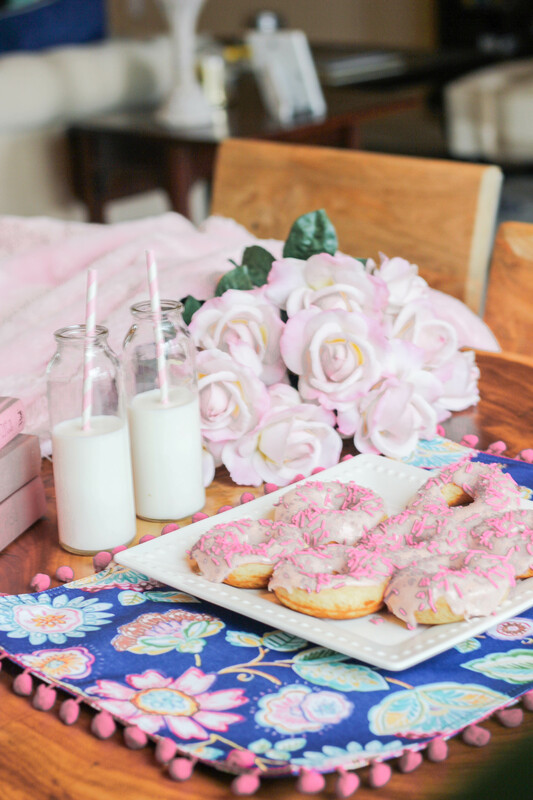 I bought a donut pan in the fall for this post and thought, why not bust it out for the upcoming holiday and whip up a batch of delicious, homemade Valentine’s Day donuts for two? 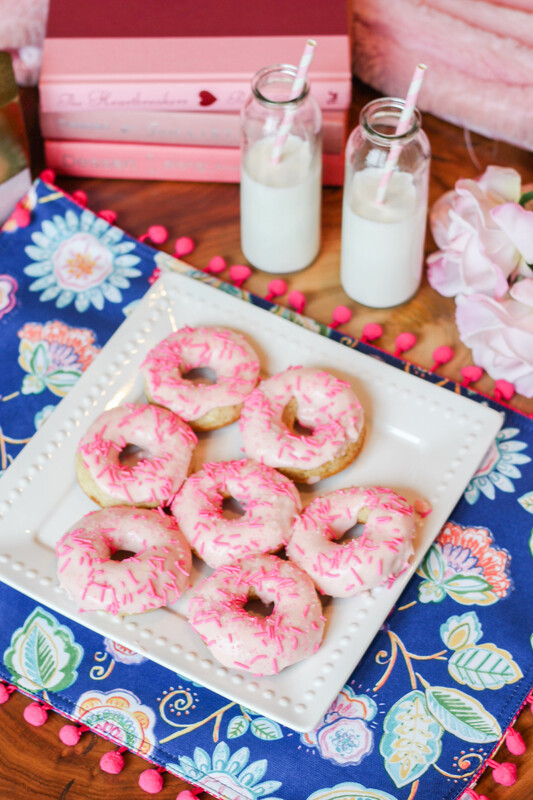 I hate having a huge recipe for just Brandon and I. We’ll undoubtedly end up eating everything so I prefer to find small batch baking recipes and that’s exactly what I found on Pinterest with Sally’s Baking Addiction donut recipe. Not only are they super easy, but they’re fast too. So fast, that when I brought the finished product over to Brandon, he was shocked at the amount of time I’d been in the kitchen. From start to finish, I think it was about thirty minutes until we had hot, fresh donuts sitting in front of us. 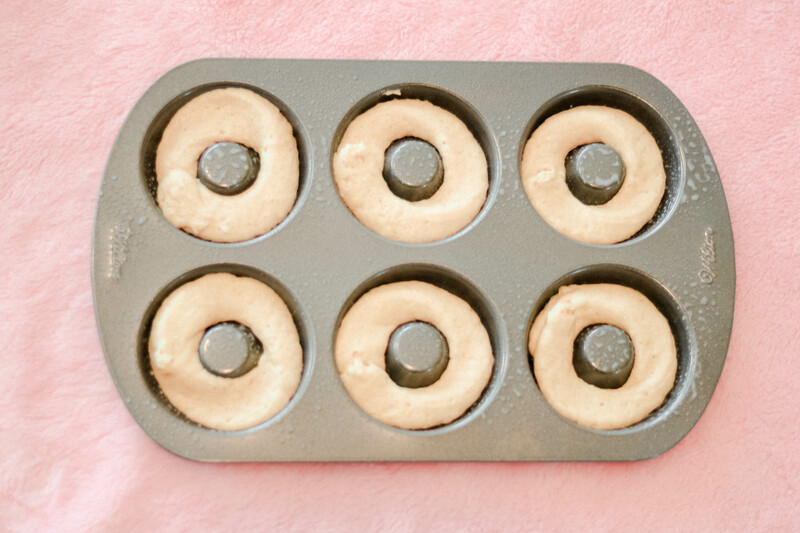 Definitely use her tip of the ziplock bag for getting the dough into the donut pan. It is an immense help and time saver! I also used a ziplock bag for the glaze. She recommended dipping the donuts into the glaze but I found that it wasn’t pretty when I did that. Plus, I like a lot of frosting! The recipe suggests 8-10 minutes in the over. Mine came right out at 8 and I wouldn’t have cooked them a minute longer. I didn’t wait too long to glaze them. I like hot donuts and didn’t want them to be completely cooled before eating. 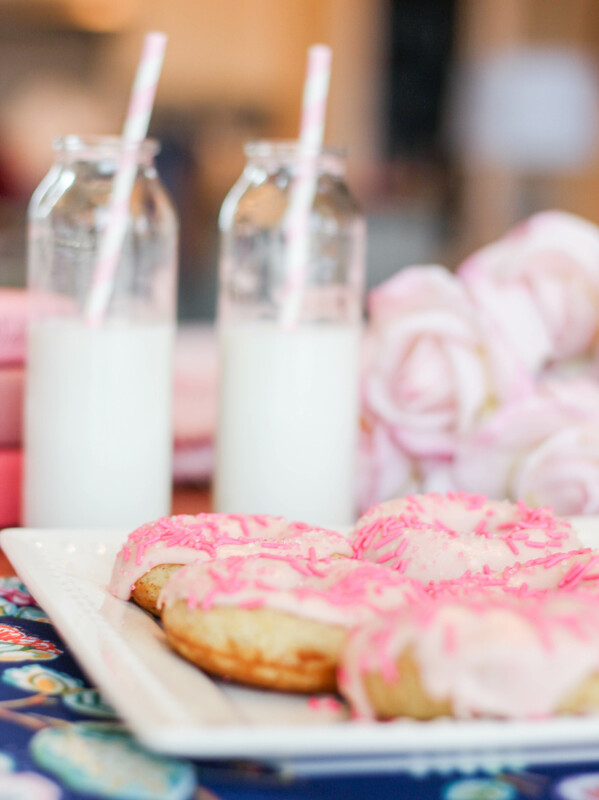 This hints our slightly messy, dripping donuts. In my opinion, they’re more delicious that way though! 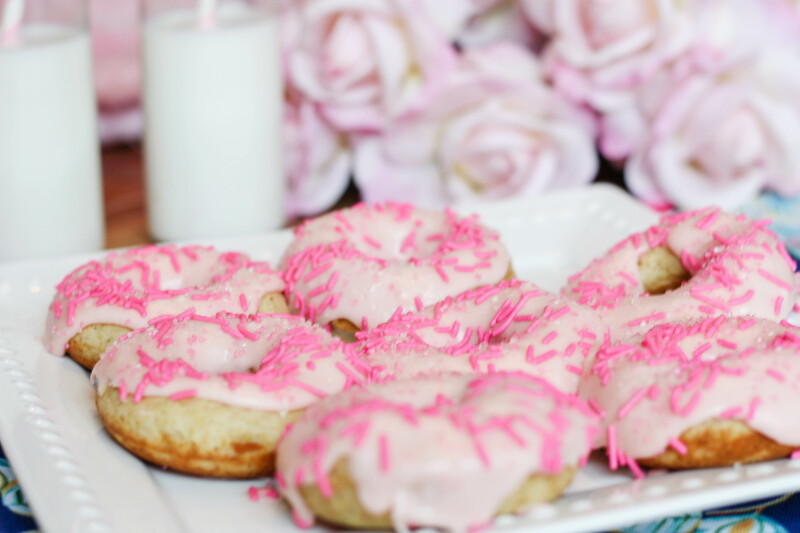 I hope that you’re able to whip these up sometime before Valentine’s Day! 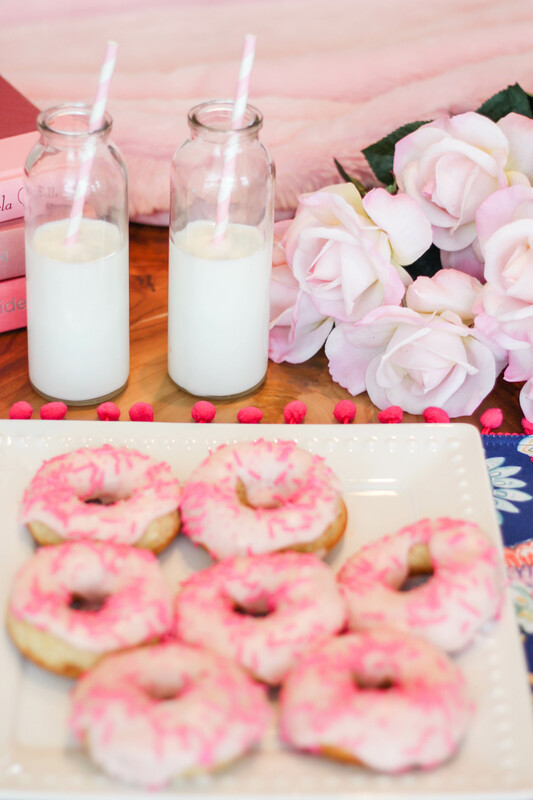 This would be the cutest little breakfast in bed treat on the 14th, or even dessert after your dinner! 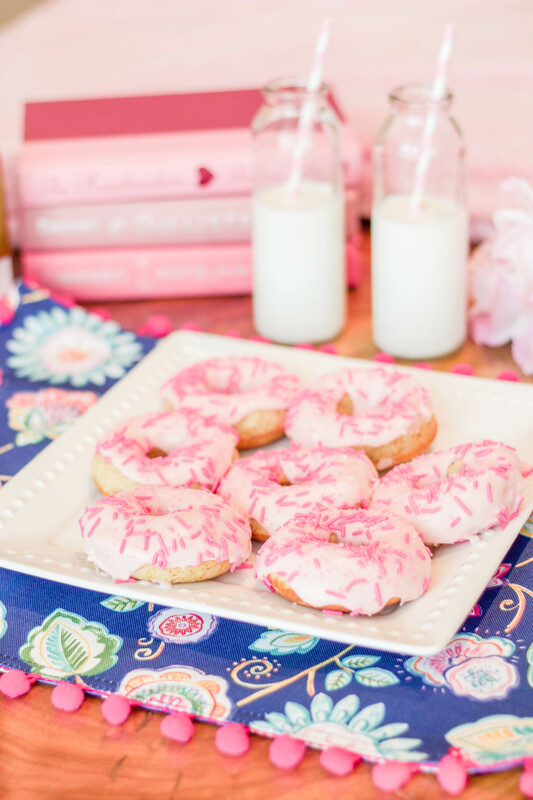 Not only is this a great recipe for Valentine’s Day, but I know I’ll be using it again for a birthday or just a happy Saturday! Have a wonderful week and a very happy Valentine’s Day!